Batman, Captain America, Thor: All of these superheroes have graced the big screen with huge muscular chests. Your chest muscles are made up of two muscles: the pectoralis major and minor. Your chest muscles are responsible for four different movement patterns of the shoulder joint: flexion (side-arming a baseball), adduction (flapping your arms), internal rotation of the arm (think arm wrestling) and of course, keeping your arms attached to the trunk of your body. For men, a muscular chest is a badge of pride. However, women can also benefit from strengthening and training the muscles of their chest. Both men and women can use the following exercises to build a stronger, more defined upper body. Before the invention of barbells or dumbbells, push-ups were the best way to build a bigger chest. They also go a long way in building stronger shoulders and arms. To activate more of your pectoral muscles, change the position of your hands. 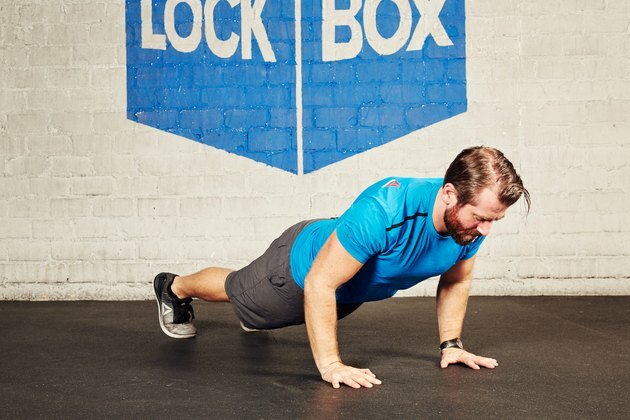 The wider you place your hands, the more your pecs are activated. If you narrow your hands you’ll use more of your triceps. HOW TO DO THEM: Begin with hands directly under your shoulders with your legs straight behind you. Then slowly slide your hands out 2 to 3 inches further than shoulder width. Keep your back straight and slowly lower your chest to the ground. As you descend toward the ground, keep your arms at a 90-degree angle. Once your chest touches to ground or is slightly hovering above it, push your body back up. Perform three sets of eight to 12 repetitions. You can also add weight to push-ups by having a gym partner or friend place a moderate weight plate on your back before you start your set. This exercise works the upper portion of your chest. You’ll need two dumbbells for this exercise. Lie down on a bench with your feet flat on the floor. HOW TO DO THEM: Begin by placing a dumbbell in each hand and holding it above your shoulders. Keeping a slight bend in your arms, slowly lower the dumbbells down towards your side — your arms should come to shoulder level or slightly below. Raise your arms back to the starting position — with your pinkies pointed toward each other — and squeeze your chest together at the top. Perform three sets of eight to 12 repetitions. Compared to the flat bench press, the incline bench press is the best exercise for building a three-dimensional chest. Like the incline dumbbell fly above, the incline bench press works the upper pectoral muscles near your collarbone. 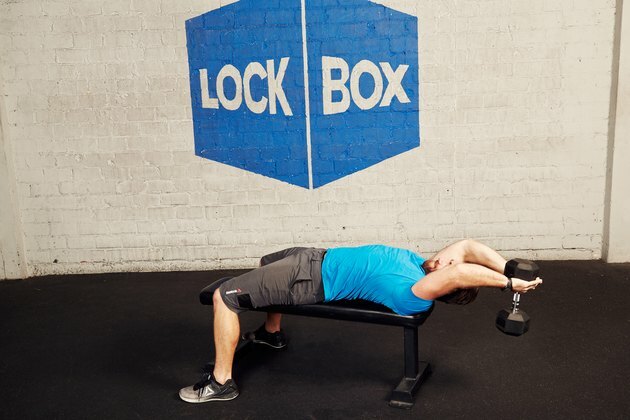 HOW TO DO IT: Begin by lying on an incline bench set at 30 to 45 degrees — the higher the incline the more involved your shoulder muscles become. Grab the barbell with your hands, maintaining a shoulder-width distance. Lower the bar until it touches your chest, inhaling as you lower it. Pause for a brief second and then press the weight off your chest, exhale as you press. Pause at the top for a moment, take a deep breathe, and repeat the exercise. Perform three sets of eight to 12 repetitions. Dips have become one of the lost treasures of building a stronger and more defined chest. Unlike grabbing a pair of dumbbells for bench presses, it's not an easy exercise. 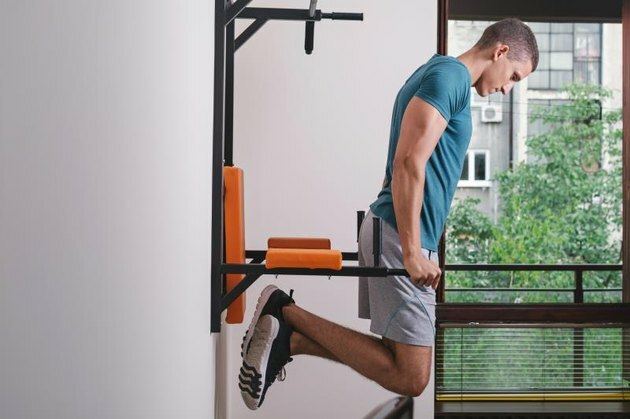 And thanks to this, many people skip over dips, but they're also missing out on one of the best ways to increase strength and size in their upper bodies. 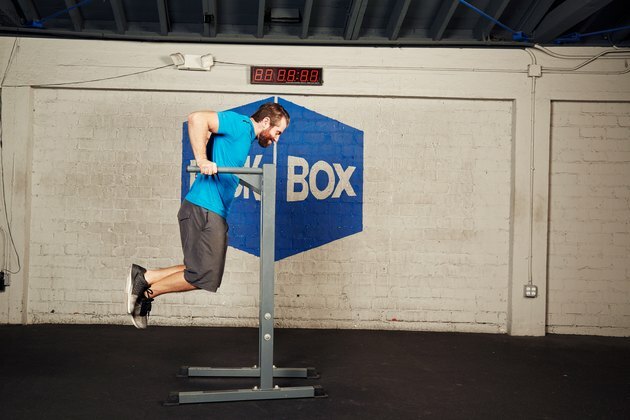 HOW TO DO THEM: Using either a dip station or two straight parallel bars, start by placing each hand on the bars. With your feet dangling below you and your arms full extended a directly underneath your shoulders, begin the movement by bracing your core. From this position, bend your elbow and slowly lower yourself until your chest dips below the plane of the handles you're holding. You'll feel a huge stretch in your chest. Once you feel that stretch, push through your wrists, triceps, and chest until you come back to the fully extended starting position. Perform three to four sets of eight to 10 reps. Dips should always be the first exercise in your training block for the day. This will keep your chest muscles at their freshest and prevent you from using too much of your shoulder to get your body back up. The dumbbell pullover was one of Arnold Schwarzenegger’s favorite chest building exercises. It targets the sternal portion of your chest and even requires a little work from your latissimus dorsi in your back. 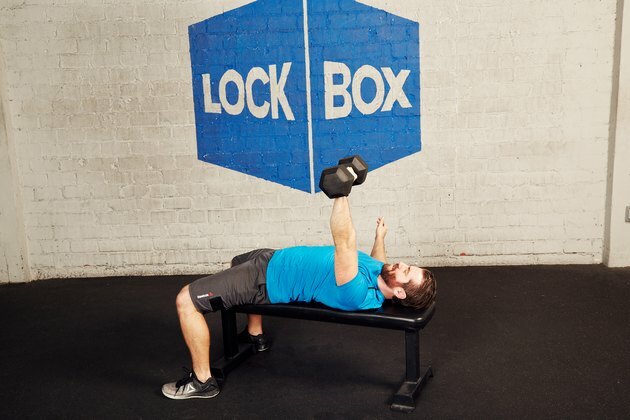 HOW TO DO IT: Place a dumbbell on a flat bench, then sit down in front of a bench. Place your upper back on the bench, keeping your hips slightly flexed. With the dumbbell on the bench, beside your head, grab the dumbbell with both hands by placing them under the plate of the dumbbell. Move the dumbbell over your chest and keep a slight bend in your elbows. This is your starting position. Keep your elbows slightly bent throughout, and lower the dumbbell behind your head, until upper arms are in-line with your torso. 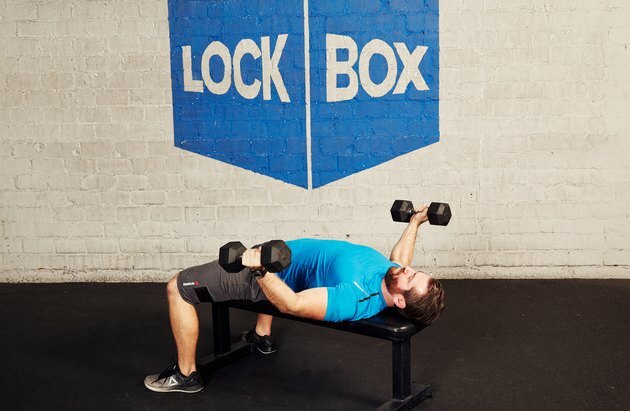 Then pull the dumbbell up and over your chest, back to the starting position. Perform three sets of 10 to 12 reps.